October 17th to 31st, 2018. 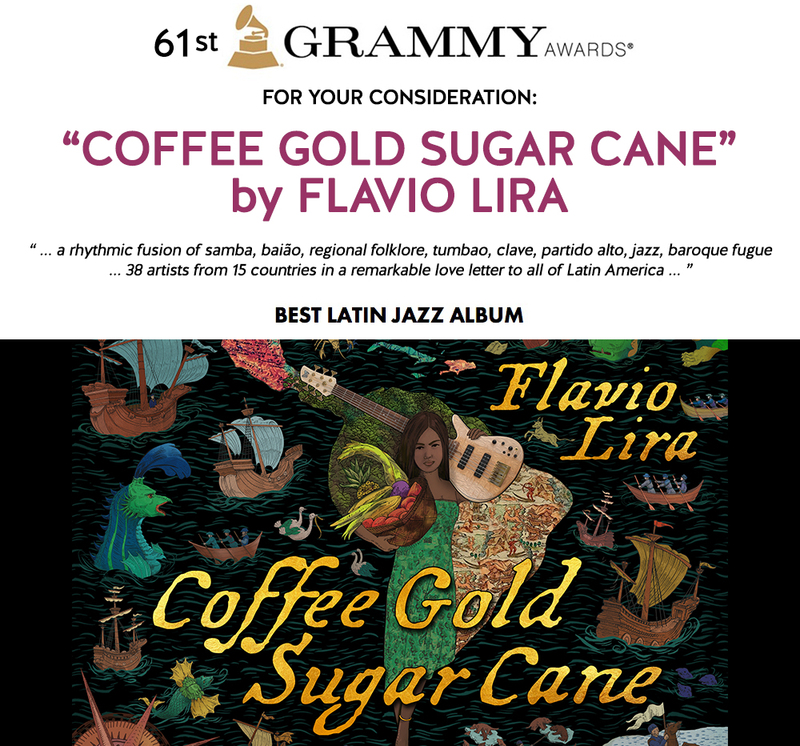 "With 12 rich-sounding songs that are packed with elements that create the sound of Lira’s inspiration, “Coffee Gold Sugar Cane” is a treasure of an album that jazz fans should want in their collections." " … Active and eclectic, musical styles have never been a restriction [to Flavio] … since the beginning, he has performed with groups ranging from Popular Samba to Classical Chamber Music. His passion is for his own musical roots and those of the world – jazz, Caribbean, and other forms of musical expression." " … A delightful pan Latin American jazz mash up of a set, this is tailor made for those times you want to slip on the headphones and enjoy a party for one. There's plenty of well honed chops on board and everyone is cool enough not to overplay them in service to the songs. A real treat for when you want an audio getaway on demand. Well done throughout."